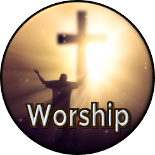 Join us this weekend for music and teaching at one of our worship services. Classes for all ages meet Sunday mornings September through May. Adult Bible Communities or ABC groups meet Sunday mornings at 9:00 and 10:45 AM. Middle School & High School Classes meet Sunday mornings at 9:00 AM. Children’s Sunday classes for ages Preschool through Grade 5 are offered during the 9 AM service. Children ages 3-5 are welcome to attend for the 10:45 AM service as well. Children's Church is offered for children ages 3-5 during the summer. Our Nursery is available on Sunday mornings for ages 6 weeks through 2 years (turning 3 after September 1).